Here is such a cute recipe card that you can print out for your collection and to give to others. 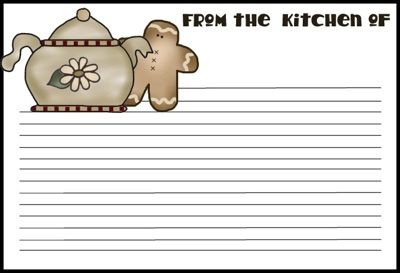 It would be great to print out a bunch of these cards on some nice quality paper and have it all filled out with your favorite Gingerbread cookie recipes that you could then share with friends and families. Get the cards here.